In 1968 The Dome’s finest hour was yet to come; hosting the Eurovision Song Contest in 1974, the year Abba won singing ‘Waterloo’. 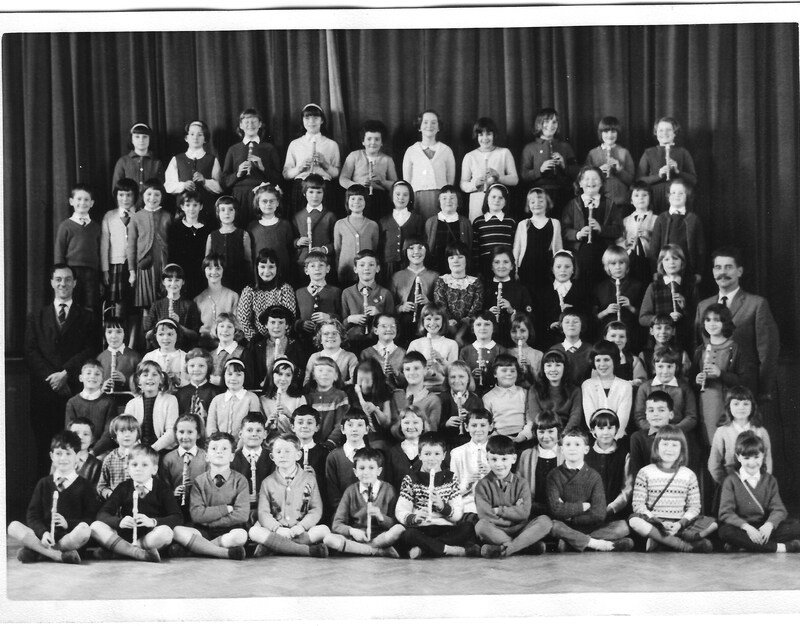 The festival in 1968 included Woodingdean Primary School entering the choir and recorders (see pic below, with me on the front row second right, next to my friend Karen Slade who was in my earlier birthday party picture). 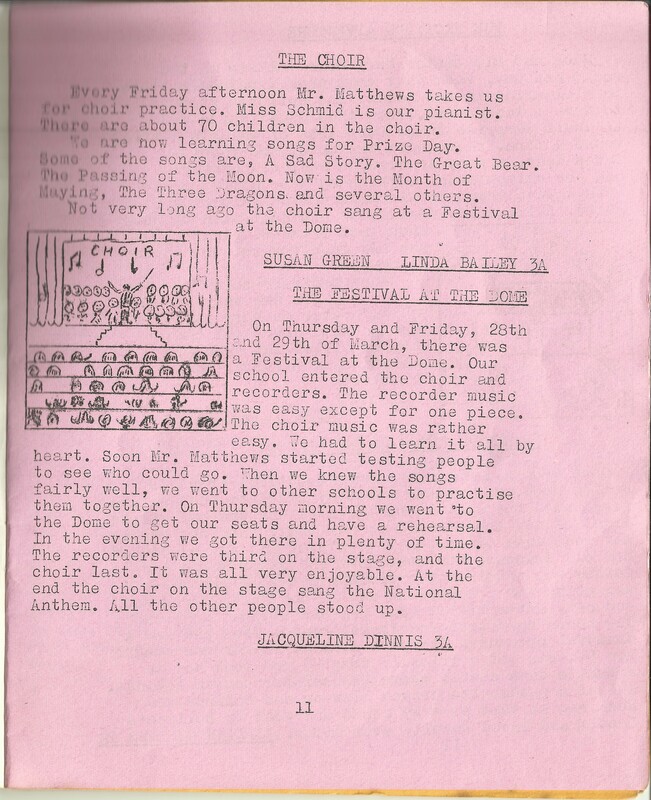 On Thursday and Friday, 28th and 29th of March (1968) there was a Festival at the Dome. Our school entered the choir and recorders. The recorder music was easy except for one piece. The choir music was rather easy. We had to learn it all by heart. Soon Mr. Matthews (the music teacher on the left of the photo) started testing people to see who could go. When we knew the songs fairly well, we went to other schools to practice them together. On Thursday morning we went to the Dome to get our seats and have a rehearsal. In the evening we got there in plenty of time. The recorders were third on the stage, and the choir last. It was all very enjoyable. At the end the choir on the stage sang the National Anthem. All the other people stood up.